Video Game Storybundle 2.0 – the return of the words! Back in May, I teamed up with Jason Chen at Storybundle to curate the first Video Game Storybundle – a veritable cornucopia of great DRM-free video game eBooks, from Ralph Baer to Jordan Mechner and beyond – and it was a hit. – A special 10th anniversary edition for one of my favorite game-related books, Seth Barkan’s ‘Blue Wizard Is About To Die!‘, and the first time the poetry collection has _ever_ been available in digital form. – Another digital first, and it’s a game _and_ a book – Ian Bogost’s IGF-nominated, Indiecade-winning ‘A Slow Year‘ and its accompanying book of analysis/haiku is available for PC/Mac download for the first time ever in this Storybundle. – And then there’s Anna Anthropy’s spectacularly good ‘Rise Of The Videogame Zinesters‘, two more Killscreen magazines, including the first-ever and the latest, Richard Dansky’s spooky ‘Vaporware‘ and… I could go on. Continuing its popular “pay what you want” ebook bundles, StoryBundle is proud to present the Video Game Bundle 2.0. The specially curated set of nine full-length game culture & history books/magazines follows up an acclaimed, best-selling bundle from early this year, and once again features over $70 of books for a fraction of that price. The Video Game Bundle 2.0, curated by game industry veteran Simon Carless, includes the gigantic 770-page Guide To Classic Graphic Adventures, edited by Kurt Kalata and spanning the best of LucasArts, Sierra, and far beyond – plus Zoya Street’s critically acclaimed Dreamcast Worlds, about the classic Sega console and three stand-out titles, including Shenmue. 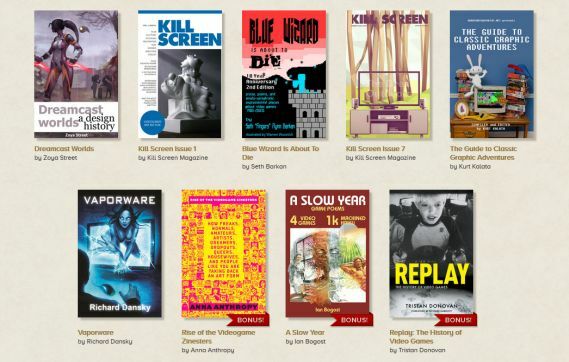 Returning from the first bundle, popular game literary magazine Kill Screen has contributed two more entire issues, including the most recent The Great Outdoors. And straying into the fiction category, Splinter Cell writing veteran Richard Dansky has contributed full-length horror novel Vaporware, the story of “what happens when a video game doesn’t want to get canceled.” Plus, appearing in digital form for the first time as part of a 10-year anniversary edition, Seth Barkan’s Blue Wizard Is About To Die! is a seminal out-of-print video game poetry tome. The final three books – available at the higher payment tier – are perhaps the most impressive of all. Firstly, StoryBundle has secured acclaimed game history book Replay (from author Tristan Donovan, including 140 exclusive interviews, from David Crane to Will Wright and far beyond!) in its first-ever bundle. Secondly, also included in this second Video Game StoryBundle is Anna Anthropy’s much-praised book Rise of the Videogame Zinesters, subtitled “How Freaks, Normals, Amateurs, Artists, Dreamers, Drop-outs, Queers, Housewives, and People Like You Are Taking Back an Art Form”. It’s a book that’s intended as a call to arms for anyone who’s ever dreamed of making their own games – and for those who want to see change in the existing video game industry. 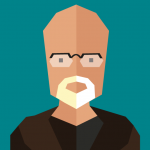 Finally, author and academic Ian Bogost is releasing a downloadable version of his IGF Nuovo Award-nominated game A Slow Year, alongside its accompanying book of essays – for the first time ever via this StoryBundle. The “ambient” game about “the experience of observing things” was originally made for the Atari 2600, and is available in PC and Mac downloadable versions when buying this bundle. The book discusses “the commonalities between videogames and poetry”, as well as providing 1,024 machined haiku – poetry generated by computer. Pay what you want (minimum $3): You decide how much six fantastic books are worth to you. If you can only spare a little, that’s fine! You’ll still get access to six thrilling titles. Support indie authors: StoryBundle is a platform for indie/small publisher authors to get exposure for their works, both for the titles featured in the bundle and for the rest of their catalog. Receive extra books: If you beat our bonus price, you’re not just getting six books, you’re getting nine!